Easter Sunday in Atlantic City - NJ Casinos food offers! In recent years, Atlantic City has become so much more than just a place to gamble. If anything, the city is becoming more recognized as a seaside resort. 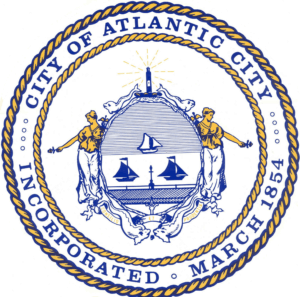 Plus, Atlantic City has actually become a lot more family oriented in recent times. With this in mind, several casinos are preparing for a fulfilling Easter Brunch/Dinner on Sunday, April 21st. So if you thought that AC was all about gambling, then maybe you might want to consider trying something new this Easter. First, the Brunch Buffet at Tropicana Atlantic City is going down this Easter Sunday from 11 am to 3 pm. The price per person is $49, and reservations aren’t necessary, although you can still reserve a table by contacting the property. Now we understand that might be a little expensive for some folks, but then again, Easter only comes around once a year. Therefore, you can really take advantage of this unique opportunity and create a priceless memory. Not to mention, the fresh seafood prepared by Chef Jose Garces is like none other. Also, they’ll be serving up other dishes such as chicken and waffles, Steak and eggs, king salmon, and much more. Now if the Tropicana didn’t sound appealing enough for you, then this should do it. On Sunday, April 21st, the Golden Nugget will offer an Easter Brunch Buffet. Plus, the price per person is only $34.99, and it’s open from 8 am to 4 pm. So, you can even turn this into an early Easter dinner if you’d like. The brunch buffet at the Nugget has a huge offering of just about anything you can think of. And for lunch, well, they’ll be serving fried chicken, roasted leg of lamb, grilled salmon, pork ribs, dumplings, and even Peking duck. But if you prefer something else, you can also check out Pala Casino and Hard Rock Casino too. They also have Easter buffets. So, bonne appetite and happy Easter.